Durham, DH - Cats sometimes have a tendency to gulp down meals without regards to proper chewing. When this happens, they may end up throwing up the food sometime after. According to Pets Best Insurance, this regurgitation can be solved by finding a way to slow down the cat’s eating practices. 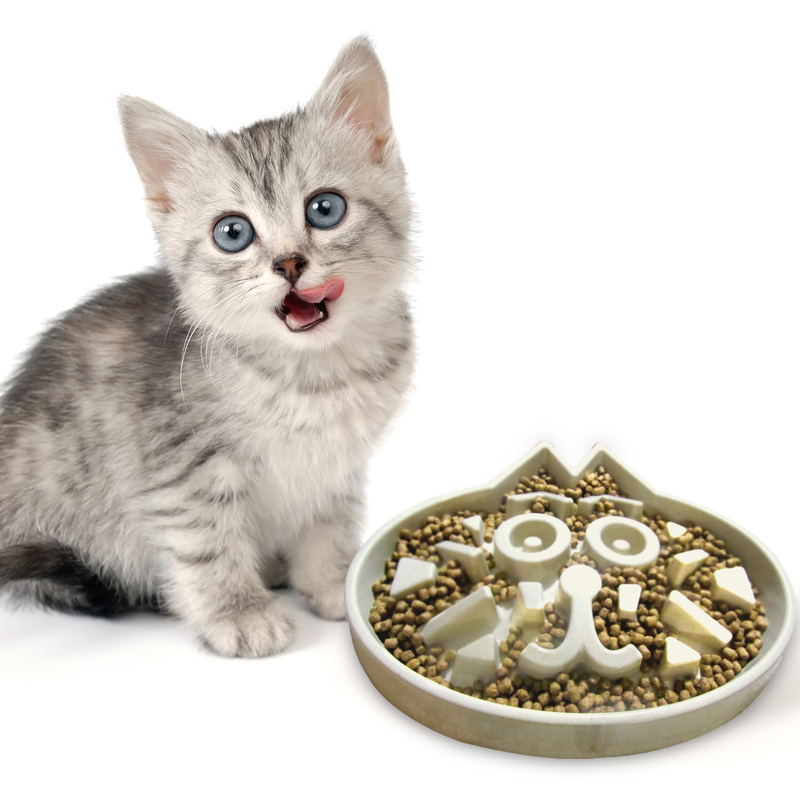 One Amazon vendor, Simply Pets Online has recently launched exclusively on the marketplace a product called Slow Feed Cat Bowl that the company says promises to do just that. Pets Best Insurance is a company founded by a veterinarian who had a mission to see pets live healthy, happy and long lives. A few years ago, the company had an article entitled “How To Stop Your Cat From Throwing Up After Eating” on their website. They showcased the different ways to prevent cats from eating too fast and the different reasons they may do it. PetsBest.com mentioned that some cats may just love to eat and end up eating quickly. Otherwise they remarked that, “where the kitty is eating so fast and so much that they almost immediately vomit, oftentimes it seems to be those cats that as kittens or young cats were strays and outside.” These cats feel they have to eat as much as possible because they aren’t sure where their next meal will come from. That means the problem of eating too quickly may be secondary to nature or nurture. According to PetsBest.com, the pet owner can slow down the possibility of their cat gulping down food in a variety of ways. They can lay out kibbles individually on cookie sheets or flat trays. Cat owners can also use ice cube trays to separate out the food and give cats more time to eat. The website also stated using food balls was a good way to offer small amounts of food treats at a time. Each of these methods increases the time taken for cats to eat portions of food. According to Simply Pets Online, the slow feed cat bowl does a similar job as the mentioned methods but more effectively. The cat bowl is comprised of individual protrusions that create a unique puzzle the cat has to forage around before finding their food. The bowl decreases the chance of overeating and hence stops the cat from throwing up after eating. The slow feed cat bowl provides a unique container that according to the Amazon vendor is made from superior materials. Simply Pets Online stated that their feeding bowl is manufactured from rice husk and bamboo fiber. This not only makes the bowl environmentally friendly but also safe for use by pets since it’s made from natural ingredients.